A traditional International Day was held at Raffles International School on February 26. It is a wonderful holiday that gives students representing different countries a chance to learn more about each other traditions. The evening began with a colorful parade – a demonstration of national costumes. Russian stand was displaying richness and generosity of our country not only by many traditional household items – a samovar, Russian dolls, “khokhloma”… Our hospitable hostesses-Russian moms and members of “Rossiyanka” cooked popular Russian food – “pelmeni”, fresh homemade bakery and, of course, pancakes with various fillings. All guests of our stand were met by real Russian beauties in colorful national dresses and “kokoshnik”. – and the small artist were rewarded with generous applause. The first morning meeting of Rossiyanka women in the new year took place at our new office in Business Bay. of different methods of interpretation of numbers, gave examples from life. Women got very interested in psychoanalysis of a personality, connection of relationships in a family, parenting and guiding children in selection of their future profession. It was therefore agreed to hold workshops on numerology for all interested Russian women in the coming two weeks. Members of the Community of Russian Women gathered in a friendly homely environment to celebrate the coming 2015. Numerous guests were welcomed by the hosts of the evening Mrs. Tatiana and Mr. Saleh Al Aroud. Despite the coolness of the December weather the atmosphere of the gathering was very warm. Musicians were performing well-known Christmas songs and everyone had a chance to show their singing talents in karaoke and compete in dancing skills to the joyful sounds of the famous hits. At the end of the evening all guests received small surprises – sweet chocolate gifts. 23 Rossiyanka women attended a very interesting event called «Awareness Programme about the UAE National Identity», hosted by Community Development Authority in Majlis Al Rashidiya. As a start, generous hosts invited women to a traditional Emirati breakfast with bread, falafel, fatayer… It turned out, Emiratis have sweet tooth, because even noodles with chicken was sweet. dress, wedding traditions and even showed elements of the national dance… After the lecture women had an opportunity to ask Mr. Ali questions they were interested in. meeting Rossiyanka women presented the event organizers traditional Russian souvenirs – Russian Dolls (Matreshka) It was also agreed to continue sharing cultural experiences between our organizations. 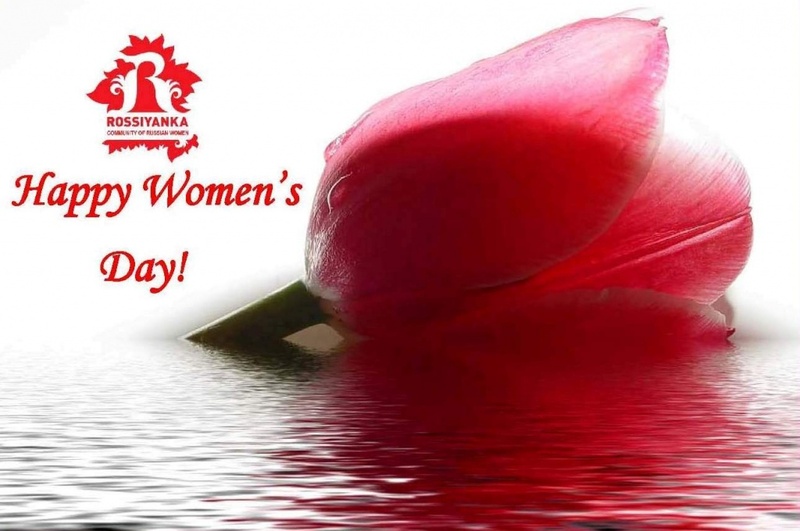 Happy women’s day dear Ladies! Today we are celebrating a wonderful day — The International Women’s day. The world is a better place because of the presence of women, mothers, sisters, daughters, friends or wives… no matter what their roles are…They bring love and meaning to life…. Dear Ladies! 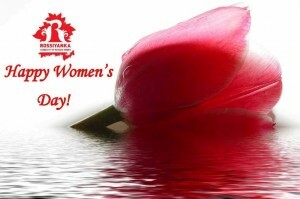 On this bright spring holiday and wonderful occasion, I sincerely wish you a Very Happy Women’s Day!May every day of your life brings you peace and beauty, warmth and love, only positive changes and successful initiatives!